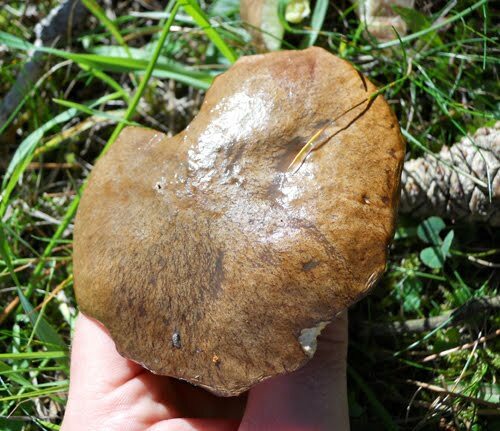 Thanks to recent rain and cooler temperatures we are having an excellent early fungus season in the south west. This Thursday I took the day off work to have my car serviced and while it was in the garage took a walk over to Leigh Woods on the outskirts of Bristol. 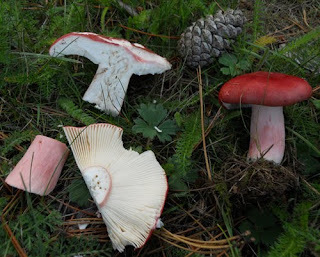 This is a fragment of the ancient Avon forest, and ancient woodland is fantastic for mushrooms. 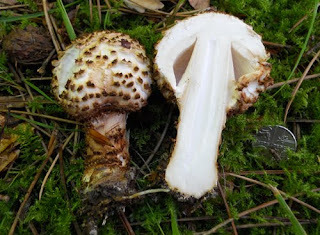 Lepiota hystrix is an inedible mushroom, which is relatively rare and can be distingushed from other Lepiota species by its dark pyramidal scales and strong smell, reminicent of Elderflower. 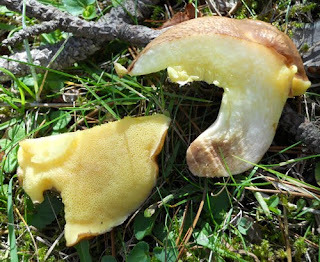 These mushrooms are defintely of the genus Suillus, I think they may be the Sullis collinitus (which is uncommon and Red Listed in some areas). 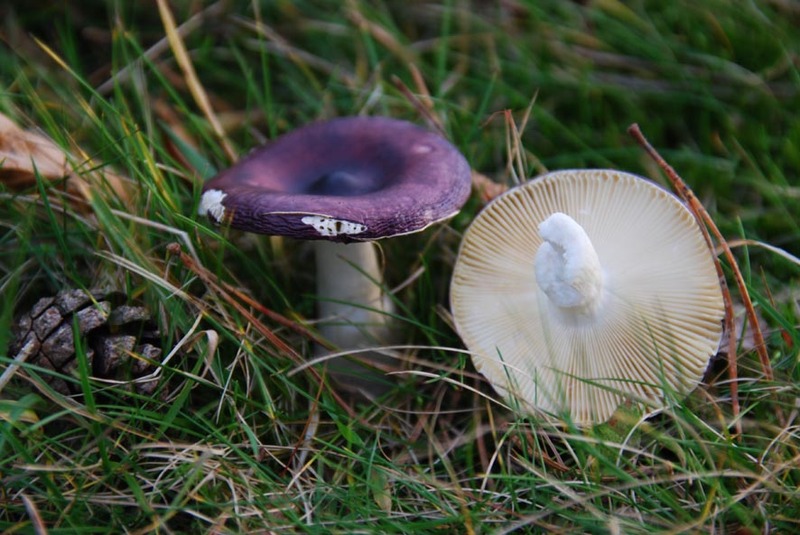 A few weeks ago I returned to Priddy in the Mendips and collected a few Humpback Brittlegills (Russula caerulea) which I identified but did not collect last year... one positive ID via a spore print later and it was breakfast time (delicious they were too).